If you want business-class reliability and powerful network performance for your studio, the Cisco SG200-08 Ethernet switch delivers. Not only does this configurable switch give you generous connectivity with eight Gigabit Ethernet ports, you also get essential management, security, and quality-of-service (QoS) features. Approved for RedNet, the SG200-08 is great for running audio in your studio, as well as for creating an office network or connecting workstations in your classroom. And with its easy-to-use web user interface and Cisco Discovery Protocol, the SG200-08 will have you up and running in minutes. 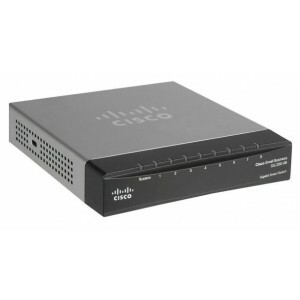 Sweetwater uses Cisco switches and routers in our networks, so we know that the Cisco SG200-08 Ethernet switch will exceed all of your expectations.